Welcome to the Create-A-Servant thread, where you post your hypothetical Servant sheets to demonstrate your creativity, imagination, one-millionth version of an army-summoning NP, and absolutely appalling grasp of Wikipedia-culled history. Create-A-Servant 1, the first Servant Sheet thread with old index. Create your own Modern Fiction Servants, for Servant sheets having to do with popular, modern fiction. Monthly Create-A-Servant Contest, an extension of Create-A-Servant where quality > quantity. Create-a-Mage, for original Nasuverse characters, both Masters and not. Monthly Make-A-Magus Contest, an extension of Make-a-Mage where quality > quantity. Beast lair forumites, servant style! post your own!, because Tobias. 'Nuff said. You can find the raw paste data for the latest index update here to make your updates easier. Create-A-Servant 1, because the index got so huge we couldn't fit it all in one thread. Please point out any mistakes such as incorrect links, incorrect classification, incorrect categorization, incorrect names, incorrect author names or otherwise incorrect data. Thanks! Last edited by Leftovers; May 14th, 2018 at 11:32 AM. Last edited by Leftovers; October 14th, 2018 at 05:58 PM. Wow, it's finally happened. Thanks, Seika! Thanks Seika, anyways time for Create-a-Servant Season 2. Wow, we actually overloaded the original thread. That's... pretty incredible. Also for some reason the link for my Se-Osiris doesn't work properly. Failed tag close. I caught a couple in Hermes' list, but missed that one. I'll fix it. Wow, that's kinda amazing. Cheers to Hermes and Seika for compiling and moving all the servants. I've been super busy as of late, but that's starting to clear up now, so I might actually be able to make a couple more servants for the new thread. Wow, that's kinda amazing. Cheers to Hermes and Seika for compiling and moving all the servants. The enemy servant's achievements and legends are transferred onto another servant, demoralising the enemy and reducing their mystery. All stats and skills are rank downed by three levels and all noble phantasms are sealed. Last edited by Strife ❤️; August 11th, 2016 at 01:28 PM. Speaking of old achievements, since the old index is now archived here, I'm inclined to restore I3uster's Assassin Shiki. Did I misattribute something? I'm sorry. Well, at least I got a cool NP at out it. Hey Seika, you made this thread in the wrong forum! Oh also, the link to the unnamed Hunter in the Australia section of the first index is broken, I believe. It was nearly all Seika, I just compiled a list in dropbox to keep track and update the OP. Seika was the one who implemented it all and moved everything. A Servant's ability to resist thaumaturgical effects. Unlike most Servants, Archer's [Magic Resistance] stems from her piety, despite her father being pursued by her father, her faith in the Lord never wavered. Such piousness has earned her an A-rank, basically making her a magus-killer, unable to be touched by great rituals or high thaumaturgy. A Servant's ability to remain independent even while rejecting their Master's magical energy. At the higher ranks, it becomes possible to remain materialized in this world without an established contract. At C-rank it is possible for a Servant to remain for one day without forming a contract. A Skill spurned purely from Archer's status as a Patron Saint of artillery and metallurgy. For centuries, smiths and warriors crafted their arms and fought their battles while receiving her blessing. Her name and image have become so synonymous with weaponry that it is not uncommon to find a depiction of Archer wielding a sword or standing beside a loaded cannon by her side. Such iconography has had a direct influence on how appears in the Archer class. Having been depicted as a wielder of arms and tools of warfare for so long, Archer possesses an A+ rank in this Skill, which prevents degradation of fighting skills when under the effect of mental hindrance. Such mastery of combat arts should not be possible for someone like Archer, but through the faithful patronage of believers and reflection of her fame, she has achieved it regardless. By complete merging of mind, body and technique, it is possible to make use of full fighting skills even when under the influence of any sort of mental hindrance. A Skill that denotes that one is acknowledged as a saint. When summoned as a Servant, the ability of [Saint] is selected among "raising the effectiveness of sacraments", "automatic HP recovery", "1 Rank-Up to Charisma" and "production of a holy shroud is possible". Naturally, Archer has chosen "automatic HP recovery", as the Lord blessed her with a similar ability to endure her father's torture. A Skill that can only be exercised by patron saints. Though the conditions for the activation of this Skill varies (Saint George being summoned in England or Catalonia is an example of one), when the conditions are fulfilled, the patron gains an ability relating to their patronage. As the Patron Saint of Artillerymen, Archer gains the ability "manifest popular arms of the era which she was summoned." While she can still manifest weapons like swords or cannons, being summoned in contemporary times has caused her to have the highest affinity with firearms. Handguns, rifles, automatic weapons, grenades, rpgs - Archer has become infatuated with the weapons of this tune. Anything that fires lead and explodes, she absolutely adores. Also, as these weapons are the byproduct of others faith in Archer, they operate similarly to Conceptual Weapons, making them perfect for smiting unholy monstrosities and unjust heretics. Or so Archer claims. This Skill also gives her a C- rank in [Marksmanship], with the negative modifier stemming from Archer's twitchy trigger-finger, which occasionally causes her to miss targets when she gets too excited. As with all the Fourteen Holy Helpers, and servants of the Lord in general, Barbara's faith was heavily tested. None would have blamed her or looked down on her had she simply gave up, had she surrendered to her father's demands, had she not attempted to run away, had she stopped trying to endure the punishment she dealt out; but she refused. Her faith was like that of steel, and in response to her belief, the Lord intervened a total of thirteen times on her behalf. Even with Barbara as a Servant, he still does. When Barbara's life is in mortal danger, when she is faced with a challenge that seems unsurmountable, when she is unsure of what action to take - a Luck roll is performed. If Barbara passes it, regardless of how imminent the danger, how impossible the feat, or how arduous the path, the Lord with guide her to glory. It is similar to the Skill [Miracle], but much more malleable and powerful. It is also much more unpredictable, and does not always activate when one would imagine it would. Thirteen Miracles is capable of being performed up to thirteen times in single war, and each miracle is more powerful than the last. Only the first twelve are capable of being used when Barbara is active. The thirteenth miracle can only be triggered when she is killed. Archer's True Name is Saint Barbara, one of the Fourteen Holy Helpers, also known as the fourteen Auxiliary Saints. Before she was recognized as a saint, Barbara was the sole child of a rich man named Dioscorus in mid 3rd century. Her father, a possessive man who did not want his daughter to be "tainted by the outside world" kept Barabara locked in a tower for most of her life to preserve her innocence. During this time, Barbara took to reading, then prayer and eventually became a Christian, though she kept this a secret from her father. When Dioscorus finally let Barbara out, it was only so she could accept an arranged marriage - an offer which she rejected. Dioscorus gave her some time to think it over, and had a bathhouse, meant solely for her use, be built near her tower. Sadly for the rich man, the opposite effect occurred - Barabara fully accepted the Lord while in that bathhouse, admitted so to her father, and definitely rejected the marriage proposal. Infuriated, Dioscorus drew his sword to kill her, but the first of several miracles occurred: An opening was created in the bathhouse which transported Barbara to a mountain gorge. Her father continued to chase after her, and Barbara continued to flee, divine intervention constantly at her aid to keep Dioscorus at bay. Even after she was caught and tortured, the miracles kept healing her wounds, making torches which were meant to burn her go out, and causing knifes meant to cut her bend. Finally, her father had enough, and had her beheaded by her own sword. After which, the final miracle occurred, and lightning struck Dioscorus and consumed him in flame. Last edited by AvengerEmiya; August 11th, 2016 at 05:54 PM. Funny that we both went with a very similar take on Saint Barbara as an outgoing, gun-toting saint. Well, it is a natural choice given her association with firearms. In general, it seems you've had her as a lot more powerful then I did. Well, I gave her three NPs whereas you stocked most of the benefits into her Skills, topped off with one very versatile NP. Holy Patron (Artillery) and her variant of Eternal Arms Mastery are very fitting Skills that add a ton of flavor to her sheet. I really don't think Saint should be rank EX, though. It's way too high, given that far more well-known saints like Jeanne D'arc have it at only B. Barbara's not even a very well-known saint, and her legend isn't thought to have much historical merit so I can't see her rank being much higher then C honestly. Where'd you get the bit about God sending thirteen miracles specifically to help her? I don't recall finding anything about that when researching for my own Saint Barbara profile. The NP itself reminds me a little of Proto!Heracles, only with 'miracles' instead of 'victories'. Last edited by RoydGolden; August 11th, 2016 at 04:37 PM. Honestly this. This seemed like a good time to move the thread to somewhere it actually belongs. Oh I wasn't aware of the change of threads. But well, posting my new Servant Archer. The Wiki says something about the use firearms reduced the number of people who were able to turn into Heroic Spirits. So I wanted to make a Servant that would be part of the turning point between the use of common weapons and firearms. Background: Jiao Yu was a Chinese military officer of the Ming Dynasty. He was the leader of the artillery of the rebel army of Zhu Yuanzhang that became the first Ming emperor. He was an alchemist and one of the first person who used firearms in combat, and a pioneer in the use of the gunpowder in weapons. He wrote a book, called Huolongjing (Manual of the Fire Dragon) describing the use of a variety of firearms. Although not being the first to use firearms or gunpowder in war, his uses, strategies and writing made the biggest advance in changing the wars from swords and spears to the use of guns and fire. Weaponry: Archer has a stock of primitive gunpowder-based weapons, such as fire arrows, fire lances, cannons, mines, matchlocks and others. He can manufacture any firearm with his Noble Phantasm Huolongjing. He also possess a rocket, Huolong Chushui. Armor: Archer wears light armor. Magic Resistance (C) – Grants protection against magical effects. Spells with chant below two verses does not affect Archer. Cannot defend against Magecraft on the level of High-Thaumaturgy and Greater Rituals. Independent Action (B) – The ability to remain independent even when rejecting the Magical Energy supply from the Master. Archer is able to maintain herself two days without an established contract with a Master. Item Construction (C) – The skill to manufacture magical items. Archer is specialized in gunpowder, and can produce explosives, projectiles and poisons with it. Pioneer of the Stars (EX) – The unique Skill given to heroes that became turning points in the human history. Archer’s tactics and usage of gunpowder in was changed forever the way wars are fight. Military Tactics (B) – Tactical knowledge used not for one-on-one combat situations, but for battles where many are mobilized. Archer is able to command troops of thousands of men successfully. Huolongjing (Fire Drake Manual), is the compendium of firearms made by Jiao Yu and how use them in battle. Many of these tactics were a big innovation for his time, and accelerated the process of war technology. Jiao Yu was an alchemist who focused in many uses of the gunpowder. Huolongjing as a Noble Phantasm possess three different abilities. Using the first one, Archer is able to manufacture any firearm of his time in minutes, but also, permits him to analyze modern weapons and create them as well. The time needed to create a new weapon depends of its complexity, but in about thirty minutes, Archer can create a simple, modern gun. Archer only need to see a weapon working or its detailed model once to be able to copy it.The second effect is the ability of stock all weapons used by Archer. 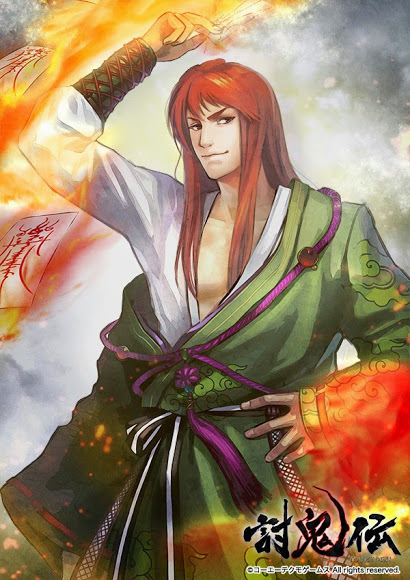 When he is summoned, he will possess a large stock of the weapons described in his work, such as fire arrows or early grenades, but Huolongjing will also stock any new weapons created by Archer. The third and last effect is the magical bullets created by Archer using alchemy. They can be made in different sizes and shapes, and with the most diverse effects. Some will engulf in flames when activated, some are poisonous, some explode when in contact with a target. All of Archer’s bullets are considered E+ Noble Phantasm, and it will have increased damage on Servants that lived before the usage of the weapon used by Archer to shot it. Archer’s weapons cannot support entirely his magic bullets, and most of them will break after five or six shots. Because of that, Archer may have multiple copies of all the weapons he likes to use. Huolong Chushui is one of the earliest designs that can be called a “rocket”. It was a gunpowder-based weapon used in Chinese artillery, and used and described by Jiao Yu. The “Huolong” on its name means “Fire Dragon”, as it was normal to make it in the shape of a red dragon. Huolong Chushui is one of the weapons stocked in Huolongjing, and the favorite weapon of Archer. Its gunpowder is different from the ones created by Archer. Instead, it was made by an ancient Fire Dragon, making it capacities much superior than any weapon other weapon used by him. Archer also cannot create another Huolong Chushui, making this Noble Phantasm able to be activated only once. After its name is evoked, Huolong Chushui will ascend to heavens and explode. The explosion is so bright, that when used at night, for some seconds will be like if the sun was in the sky. Then, a serpentine dragon made entirely of flames will return to earth and pursue Archer enemies. The duration of its effects depends of how much mana Archer applied during the activation, however Archer may not be able to make it last for more than 300 turns. 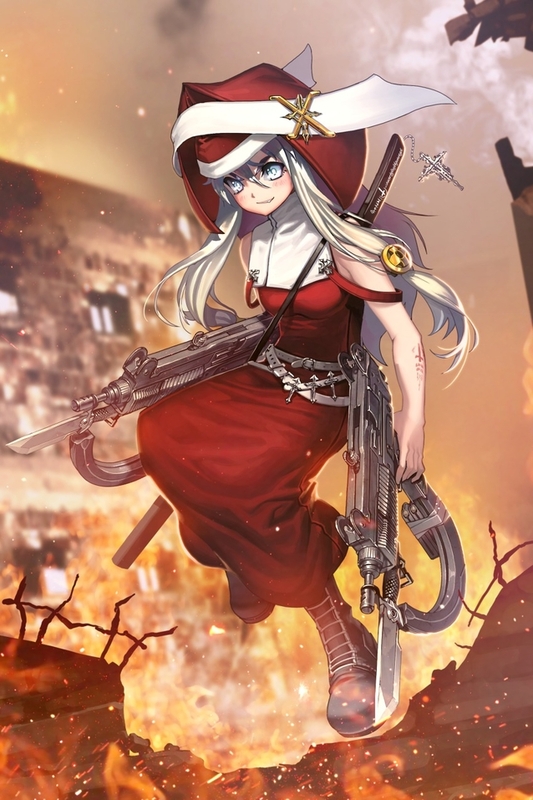 Saint Barbara: She looks like tons of fun and Holy Patron (Artillery)really stands out as a skill - basically the embodiment of "More Dakka". Jiao Yu: He seems alright with a pretty visual second Noble Phantasm. However as you've emphasised the modern aspect of him I'd need him a bit myself. Magic Resistance and Military Tactics should be lowered by a rank in my opinion and I'd also drop Pioneer of the Stars to A.
I'm to lazy to actually do it, but I think you could actually make a pretty decent case for a servant Phelps, considering he has just smashed a record that was set before Jesus walked the earth, becoming the most decorated Olympian ever.